In this article I want to examine an example of Spring MVC + Hibernate + Maven usage. This set of technology implies basic knowledge of the domain area. So I will try to explain all essential moments in detail. The other things which are out of topic, will be provided with links to more detail sources. In the end of the post I will publish a link to GitHub. Now you can try a new tutorial on the same theme but with Spring Data JPA. 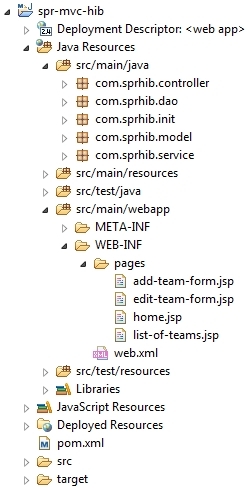 Creation of the sample web application, based on Spring MVC, Hibernate, Maven. Interface will be HTML-based. The application will support all CRUD operations: create, read, update, delete. As usually I will use MySQL as a database. 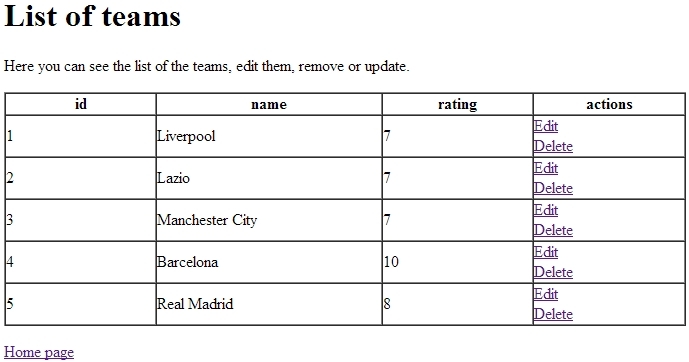 The application will be work with football clubs entities, so be ready that the tutorial will be in a sport direction. Then I need to create a new Maven Web Project in IDE (I use Eclipse). I will omit the details of creation, you can read about this in one of my articles about Maven Web Project creation. Here is a link to the pom.xml file. At the start of the file you can see @EnableTransactionManagement, it enables Spring’s annotation-driven transaction management capability. Annotation @PropertySource(“classpath:application.properties”) – plugs in property file which located in the resource folder. Pay your attention on three beans: transactionManager, sessionFactory, dataSource. These beans provide transaction management. 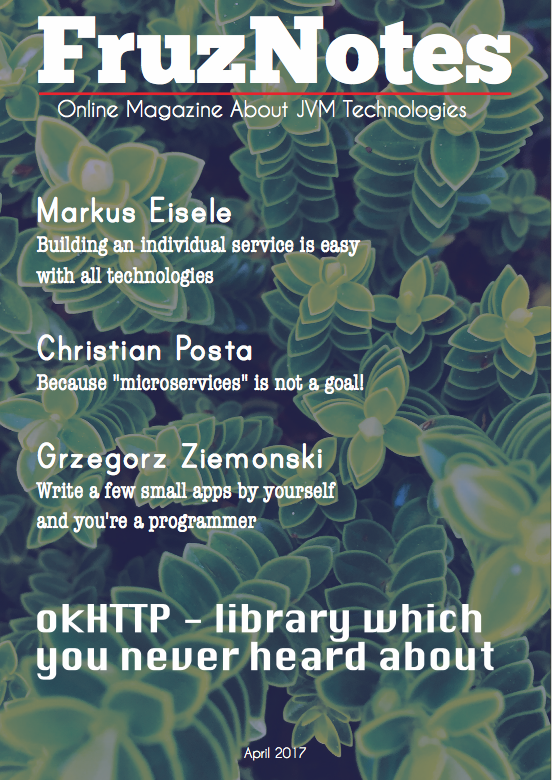 For more information read my article about Hibernate functionality. Thats all what is related to project preparation. Further I’m going to show you DAO and service layers. Annotation @Repository Indicates that an annotated class is a “DAO”. Annotation @Service indicates that an annotated class is a “Service”. Annotation @Transactional describes transaction attributes on a method or class. Almost all methods and request mappings are clear. But I want to underline that @RequestMapping for the editTeamPage() and edditingTeam() methods, contains different valuse for the method attribute. Integration of several technologies is usually not easy work, so be patient to achieve a success in this. There isn’t a lot of sources in the post, so you can visit my GitHub to explore classes in which you are interested.